Make a stylish statement with this stunning dresser base which offers ample storage as well as looking great. It has two cupboards either side a central area with four drawers. The cupboards have plenty of room inside as do the drawers which are trimmed with Nickel hardware. The dresser base has panelled detailing round the cupboards and a satisfying, chunky base. Use with the dresser top or as a standalone piece, it’s a timeless classic, perfect in modern and traditional homes. 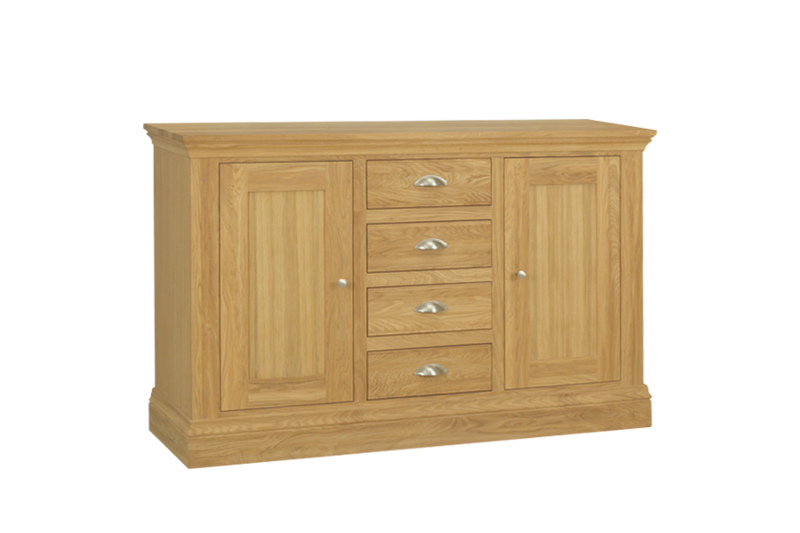 Link the drawer base with the other pieces in the Cobham Oak furniture collection and complete the look perfectly. Choose from dining tables, coffee table, hall table, and dressers.